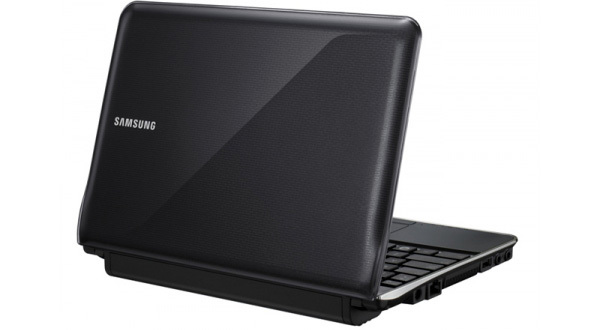 Samsung has announced four new netbooks for its N-Series line: N210, N220, N150 and NB30. All of these will run on the Intel Pine Trail platform with an Atom N450 processor. The highlight of these new devices? Battery life. Netbooks are primarily meant to be portable devices, so being plug-free for as long as possible is essential. Samsung has taken note, incorporating Enhanced Battery Life solution support and an energy-efficient 10.1-inch LED display. The N210 and N220 should last up to 12 hours, the NB30 runs for 11 hours and the N150 keeps going up to 8.5 hours. All of the netbooks are built in mark and scratch-resistant casing, and they each host a Digital LiveCam. However, not all four are quite alike. The NB30 is the most durable pair of the quartet with an hard drive disk sensor, which auto-parks the HDD if it senses that the netbook dropping. It’s also water-resistant up to 50 cc for 10 seconds before removal. The N210 and N220 feature “Instant On” capability, allowing them to turn on and go online before Windows finishes booting. Finally, the N150 is the most simple of the netbooks, but it stands out with an integrated hinge for smoother movement.